IATA CEIV Certification for Pharmaceutical Logistics at Frankfurt Airport has been awarded on November 15th to Swissport Cargo Services Frankfurt. This is another step in Swissport’s endeavor to play an even stronger role in the handling and storage of pharma products at their Frankfurt, Germany handling facilities. Swissport Cargo has developed what they term as a dedicated product line for the handling of Life Science & Healthcare products at their FRA facility by investing quite a considerable sum of money in equipment, infrastructure and the necessary staff training in order to meet IATA’s CEIV Certification demands. The much published “Singles Day” in China on November 11th proved to be the largest worldwide single event shopping day. The event which was brought to life by China’s largest e-commerce set-up, Alibaba, and traditionally takes part only for the one day, is aimed at collecting online orders for goods from all over China and processing them together on the 11th of November. This year was no exception and it is said that all records were broken as far as the number of shipments ordered, processed and sent on this day. The revenue generated on Singles Day is said to total US$25.3 billion. An all-time record. Alibaba continues to strengthen their hold over e-commerce in China and revenues for this year are expected to far surpass those of 2016. In the previous year, the e-commerce conglomerate was already reporting record revenues. Alibaba’ share price has more than doubled since November 2016 and stands now at around US$190 per share. Etihad Airways has announced Justin Carr as the Gulf airline’s new Vice President Cargo. The Abu-Dhabi-based carrier had indicated the nomination in October already, following the departure of former VP Cargo David Kerr who will become CEO of London-based freight carrier CargoLogicAir as of January 1, 2018. Carr joined Etihad Cargo in October from DHL where he was in charge of the Business Development of Multinational Corporations (MNC) for the Middle East and Africa region. 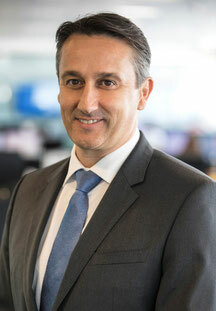 Simultaneously to the Carr nomination, Etihad announced two additional personnel decisions with Andre Blech becoming new Head of Cargo Delivery, overseeing the end-to-end freight operations and Robert Gilardoni expanding his current role to include Freighters, Global Customer Management and Industry Verticals in addition to his Charter responsibilities at Etihad Cargo. Reports from various sides indicate that air cargo demand in October continued strong, but that actual growth had slowed somewhat. Yields continue to increase steadily and many shippers are facing capacity shortages which now tend to lead to growing backlogs of air cargo shipments. A good sign for the carriers, but frustrating for shippers. The backlogs are mainly being seen at Asian airports, especially the larger traditional air cargo hubs. Statistics for September had already indicated a drop in growth and it seems that this has accelerated somewhat during October. The comparisons made are with the same periods in 2016 where shippers and carriers had experienced unusually strong growth at that time of between 7% to almost 10%. So a drop compared to those 2016 figures is not really something to worry about considering the capacity on offer. As expected, the Far East market continues to lead the pack followed by Europe and the Americas. The Guangzhou-based carrier China Southern Cargo is planning to offer more services out of the capital city of Beijing once the new airport is opened there. The opening of Beijing’s second airport (Daxing Airport) is planned for 2019. China Southern has been fighting for years to gain better access to Beijing in order to enhance their freight services from there. This has always been more or less a losing a battle for extra slots. This, the carrier hopes will change once Daxing Airport comes on line. If all comes about as hoped, then China Southern Cargo would add a third large Chinese hub to their network alongside those in their home base of Guangzhou and Shanghai. Daxing Airport is also constructing new cargo handling facilities for around 600,000 tons per annum which are expected to be in operation in time with the airport opening. Two thirds of the space is said to be allocated for domestic cargo traffic and the remaining space for international cargo handling. The Seoul-domiciled Korean national carrier shows results for the third quarter of this year, which are in line with those of other carriers in the region. Yields in Q3 rose by more than 12% compared to 2016 and an almost 8% increase in traffic was also recorded. A 78% load factor was recorded for the period which is over 2% higher than last year. 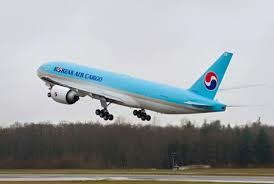 This is notable considering that Korean Air Cargo also offered just over 4% more capacity to the market during this period. Almost 70% of the carrier’s cargo revenue were generated from services to and from the Americas and Europe. The cargo division is proud of the fact that because of increased revenues they now contribute 22.4% of Korean Air’s total revenues. U.S. aircraft lessor, Spectre Air Capital is to convert six B737-700 passenger aircraft it recently purchased into freighters. Conversions will take place at Bedek Aviation Group’s facilities. All six aircraft were bought from Chinese carrier Xiamen Airlines. Hawaii-based Aloha Air Cargo has taken a B767-300BDSF freighter on lease from US based Cargo Aircraft Management(CAM). China’s SF Airlines gets yet another B757F on their books. The ex-American Airlines passenger aircraft will be converted to a freighter by Precision Aircraft Solutions and then be handed over to SF Airlines. LH Cargo has brought another MD-11 freighter out of storage in order to meet growing capacity demands for cargo space on some of its global routes. It is not clear whether the MD-11 will remain in the LH Cargo fleet for any considerable time. Mexican-based Aeronaves TSM which operates a fleet of six MD82 and MD83 freighters has announced that they have acquired a further three passenger MD-83s and will have then converted in to cargo aircraft. It is expected that once they come on line that the five very old DC9 freighters still in service, will be phased out.